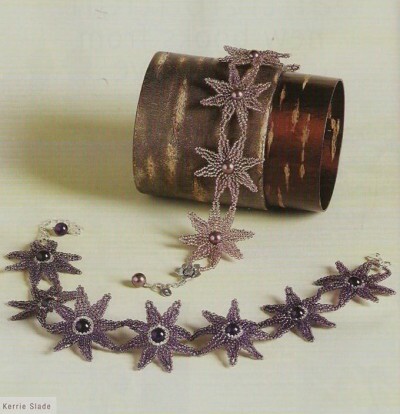 The set includes a bracelet and necklace, which consist of interconnected flowers. If you attach a flower to the clip, then you will receive more and earrings. All you need to weave, because it flowers from beads with bead in the middle of them already and make a necklace or bracelet, the desired length. 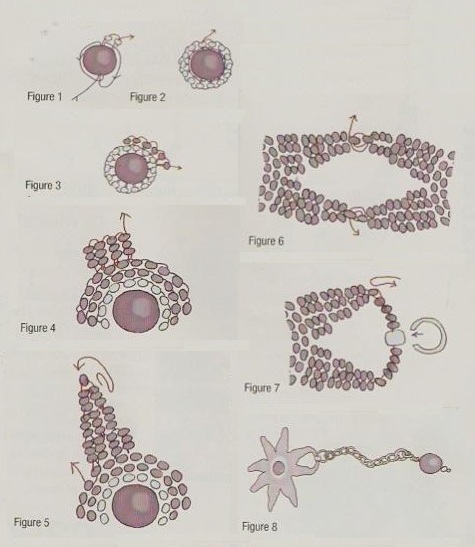 Connect the two outer flowers petals, as shown in the diagram step 6. Of course color can be selected quite arbitrarily, but when the middle of a dark bright braided with beads, then flowers and look especially nice. How to braid bead correctly see steps 1 through 3. Drag in one six petals (see step 4-5). Attach the clasp to the two most extreme petals of a flower on both sides. With this scheme, you'll be able to weave themselves like a set, you just pick up materials and begin work.